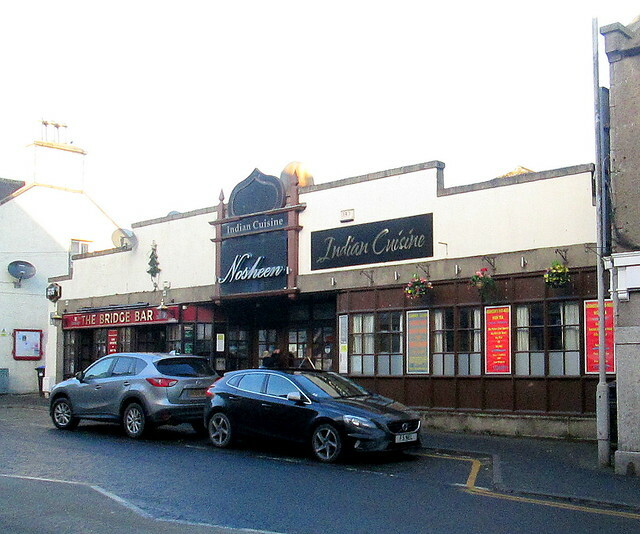 Ellon (see previous post) has one piece of minor Art Deco, now housing both The Bridge Bar and – of all things – an Indian Restaurant, Nasheen Indian Cuisine. The stepped roofline is about it for deco touches. The Indian architectural style embellishment above the restaurant’s door must be recent.